Sherry FitzGerald is offering No 4 Cuirt na Rasai for sale by public auction. This ground floor two bedroom apartment is in an excellent location with easy access to GMIT, Galway city centre, and the M6/M18 motorways. 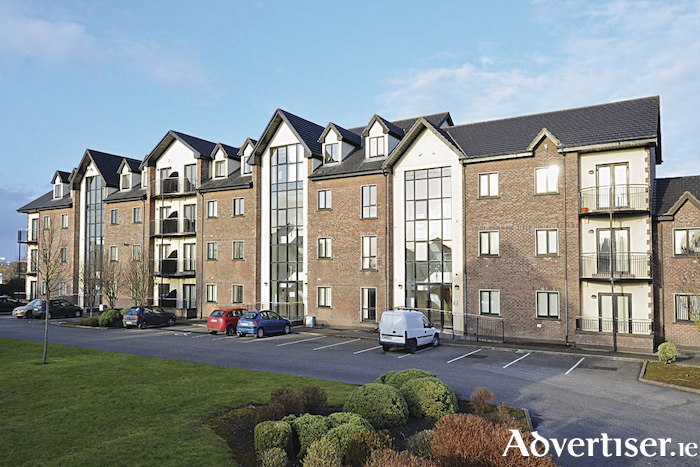 The property is located in a complex of 32 units and serves predominately as a student village to GMIT and as self-catering accommodation during summer months. There is a shuttle bus from the complex to the college and the Briarhill Shopping Centre is in the immediate vicinity. The M6 Dublin/Galway motorway is within a short drive and the city centre is just 10 minutes away. Advised market value is €130,000. The accommodation comprises two bedrooms (one double and one twin ), open plan kitchen/living area, and bathroom. The BER is C3. The property has electric heating with secure coded door entrance. There is a management company on site which deals with the rental of the property throughout the year and the development on a day to day basis.